and American Greetings are the largest producers of greeting cards in the U.S. 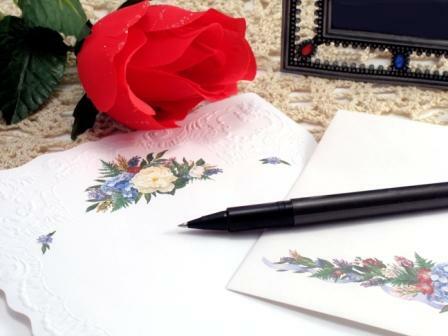 They produce a large variety of greeting cards, e cards, software, stationary and other products. There are an estimated 3000 greeting card publishers and 100,000 retail outlets that carry greeting cards in the U.S. alone. There are many more around the globe. Almost 7 billion greeting cards are purchased every year in the U.S alone. Many sites are providing e card services as part of their offerings, although it might be unconnected to their main business. They see it as an important benefit they can offer their customers. I'll call the most veteran and largest greeting card publishers, Hallmark and American Greetings, the classic cards. There are other popular veteran card publishers which I'll discuss elsewhere. Or Visit AmericanGreetings.com for a wide selection of eCards and printable greeting cards for every occasion. Try it free for 30 days! you can read about Hallmark greeting cards, e cards, software, or special gifts. Click here to see the top 10 most popular eCards on AmericanGreetings.com, including birthday cards, romantic cards and more.